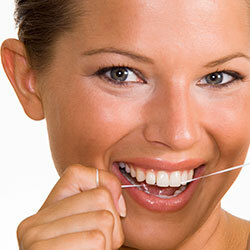 Does it surprise you to hear that gum disease is the single most prevalent disease in America? It affects more people than heart disease, stroke, Alzheimer’s, and cancer combined. While you may dismiss gum disease as only a minor problem, consider that it contributes to tooth and bone loss as well as serious health issues such as stroke, heart disease, respiratory problems, osteoporosis, diabetes complications, and low birth weight. Most recently, gum disease has been tied to dementia and a rise in systemic inflammation. At Dr. Hejazi’s Las Vegas general dentistry practice, we are constantly on the lookout to protect your smile against gum disease, and have diverse solutions to combat the problem if it does develop. How does gum disease start? Gum disease gets its start when bacterial plaque hardens into tartar below the gum line. Tartar, also called calculus, irritates the delicate soft tissues of your gums, opening the door for infection. Once that infection takes hold, decaying food particles and bacteria help the infection grow and spread. At this stage, you would most likely be unaware of the problem, since people often don’t recognize the symptoms, which are red, tender, swollen gums that may bleed when you brush. How does Dr. Hejazi treat gum disease? Early on, when redness, swelling, and bleeding are the only symptoms, we can treat gum disease non-surgically. Regular checkups greatly increase your potential for early detection and conservative treatment. Generally, treatment will include careful, individualized instruction regarding the most effective means of brushing/flossing at home and limited use of chlorhexidine oral rinse. In addition to conservative treatments such as professional, careful scaling of all affected tooth surfaces, Dr. Hejazi also provides PerioProtect at our Las Vegas dental practice. PerioProtect is a patented local antibiotic/oxidant, applied to the periodontal pockets to eradicate infection and promote gum health. Our non-surgical forms of gum disease therapy are highly effective, so if you’ve put off seeing a dentist about your bleeding or tender gums, schedule your periodontal evaluation today. Armed with these comprehensive and gentle procedures, we’ll work together with you to restore total oral health.